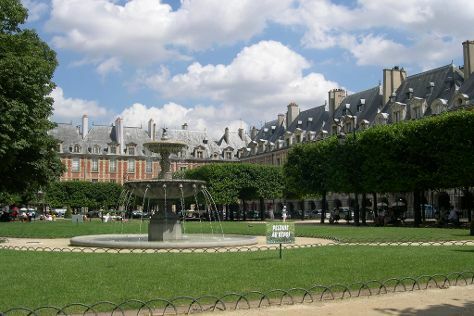 You'll discover tucked-away gems like Le Marais and Saint Germain des Pres Quarter. For shopping fun, head to Champs-Elysees or Edwart Chocolatier. Explore Paris' surroundings by going to Champagne Dechelle Henri et Fille (in Brasles), Palace of Versailles (in Versailles) and Chartres Cathedral (in Chartres). There's much more to do: examine the collection at Musee d'Orsay, make a trip to Eiffel Tower, step off the mainland to explore Île de la Cité, and contemplate the long history of Cathédrale Notre-Dame de Paris. To see more things to do, traveler tips, photos, and tourist information, read our Paris road trip planner . San Diego, USA to Paris is an approximately 17-hour flight. You can also do a combination of train and flight; or do a combination of bus and flight. Traveling from San Diego to Paris, you'll lose 9 hours due to the time zone difference. Expect little chillier temperatures when traveling from San Diego in April; daily highs in Paris reach 60°F and lows reach 42°F. Wrap up your sightseeing on the 12th (Fri) early enough to take a train to London. Step off the beaten path and head to The Lanes and Sky Garden. Get some cultural insight at Tower of London and Westminster Abbey. Change things up with these side-trips from London: Brighton (Gustamps & North Laine). Next up on the itinerary: take an in-depth tour of Natural History Museum, hunt for treasures at Jamon Jamon Paella, get a sense of history and politics at Houses of Parliament, and take in the architecture and atmosphere at St. Paul's Cathedral. Discover how to plan a London trip in just a few steps with Inspirock's itinerary builder. You can take a train from Paris to London in 2.5 hours. Alternatively, you can fly; or do a combination of train, bus, and flight. Traveling from Paris to London, you'll gain 1 hour due to the time zone difference. In April, daytime highs in London are 56°F, while nighttime lows are 40°F. Wrap up your sightseeing on the 15th (Mon) early enough to travel back home.